Available in Spider 2017.05.18 or greater. PCSchool have made significant changes to enhance the speed and responsiveness on the Absence Review Control. While these changes have resulted in very significant speed improvements they have required in minor changes to the teacher interface. 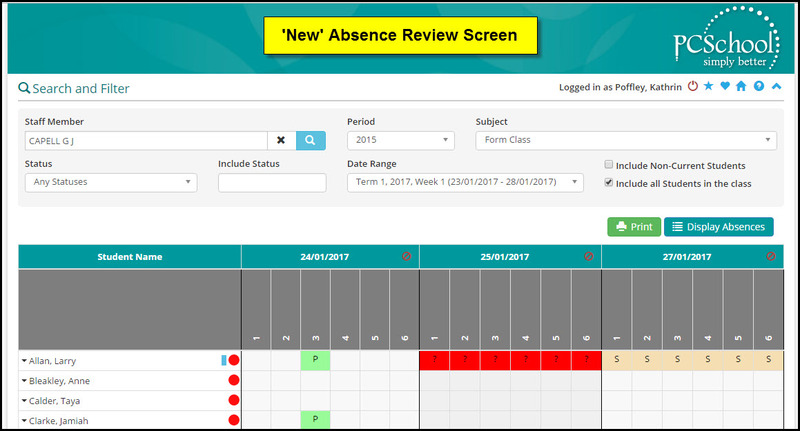 Click on period to view absences for the day and view absence change history.